Do you have fond memories of your time on the Broads, or maybe you’ve concocted dreams of what it would be like to sail, cycle or walk along the Broads? Either way, we would love to see a photograph of your favourite memory on the Broads or your creation of a brilliant time on the Broads. We want to see the best photographs that capture the true essence of what you love about the Norfolk Broads. Whether it’s spending time with your family, the pace of life, your favourite spot or the wildlife – we want to see them all! 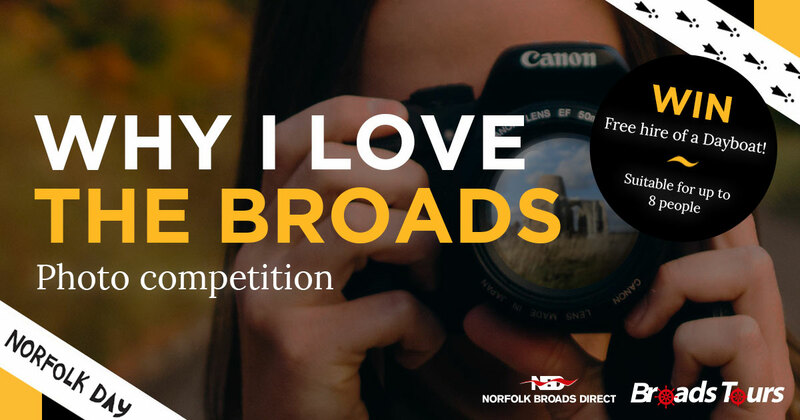 To enter simply take or find a photograph that highlights what you love about the Broads, email your entry to jamesg@broads.co.uk or submit the photograph to one of our Facebook posts about the competition.